“Cost per conversion down -23.81% with a +500% increase in conversions YoY"
One of the industry leaders of automatic security bollards and with almost 20 years of experience MACS Automated Bollard Systems are dedicated to delivering a product tailor-made for their customers. 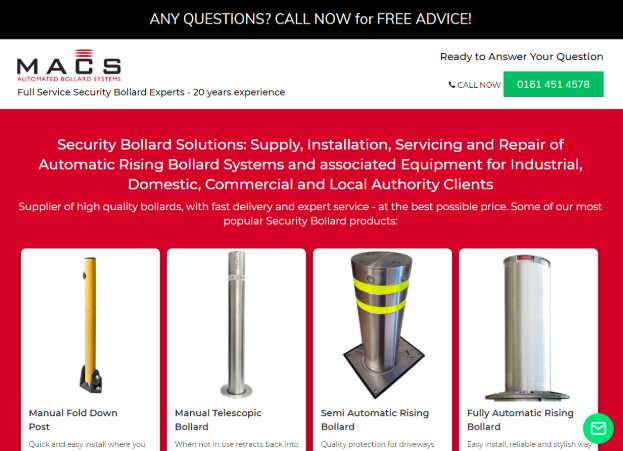 Boasting full technical support and aftercare services it's easy to understand why MacsAutomated Bollard Systems have seen such success. “Having worked with Chris and the team for a number of months now, we are very happy with the all round excellent service.